Finding reliable fixed or mobile communications when business takes you to remote locations is a real challenge And sometimes, regardless of location, natural disasters or other unforeseen events can knock out conventional network connections to your sites. The impact on your business can be significant. In these scenarios, only a link to our satellite services can give you continuous secure and reliable connectivity when you need it most. Our expert engineers will be on the ground to install very small aperture terminals (VSATs) at each of your chosen sites — or even on your vehicles if you need connectivity on the go. We offer two main options for Satellite Services. If you need connectivity in a single location, we recommend our secure dedicated bandwidth option. If you operate in multiple locations, we can cost-effectively share bandwidth between your sites for optimum network efficiency. You’ll benefit from data rates between 512Kbit/s and 2Mbit/s, with increments up to 10Mbit/s. We also offer higher data rates at 45Mbit/s or 155Mbit/s with a specialised satellite communication design. 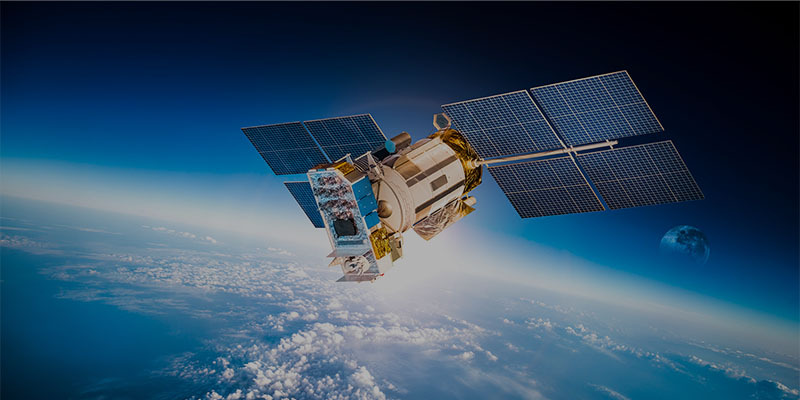 Our satellite services provide two-way connectivity services to your sites nearly anywhere in the world, with an availability of 99.9%. They're suitable for IP-VPN traffic, public internet traffic, data circuits and more. You can use it for nearly anything you'd use your normal WAN connection for, including VoIP. Ideal for remote telemetry, collaboration and business continuity, it's a great choice whether you're monitoring a wind farm in the Outer Hebrides, conducting scientific exploration in the Amazon rainforest, or simply in need of backup connectivity for important sites. Our fast, offering speeds of up to 10Bit/s, and they're safe, secure and always available. Railway companies often need to roll out CCTV and passenger access help points to remote railway stations where fixed and mobile networks were unavailable.We provided satellite connectivity as part of a wide area network solution. The company's CCTV operators can now access any site's live CCTV stream from a central location. The satellite network shares bandwidth dynamically between sites, so it's only used when an operator needs to access a live stream. We've provided similar networks for utility companies operating dispersed remote infrastructure, such as wind farms, supporting services including CCTV, broadband access, VoIP, and telemetry networks. We also provide you with business continuity using satellite back-up. If conventional networks suffer an outage, you'll still be able to operate. It's also quicker to deploy than fixed-line network solutions. Many organisations also benefit from a range of complementary services to help you make full use of your WAN. These range from internet access, contact centre and video conferencing to full unified communications services. Plus we can offer professional services such as project management, service management and solution design.